If your commercial kitchen or restaurant requires extra freezer drawers, consider our HABCO® undercounter freezer models that offer professional solutions and premium features. Our single and double-door undercounter freezer models give you the freedom to select your size requirements without interfering with the kitchen’s layout. 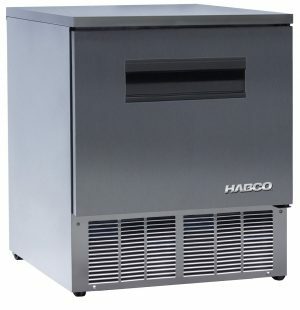 What makes HABCO®’s commercial undercounter freezers so perfect? Every HABCO® product features innovative technology to reduce maintenance costs, prolong the life of your model, and maximize energy efficiency. Features, like our digital temperature control, priority airflow, and energy-saving automatic stainless steel condensate control system, are designed to give you a consistent and dependable food-freezing solution. Our solid stainless steel exterior exudes a professional and clean aesthetic. 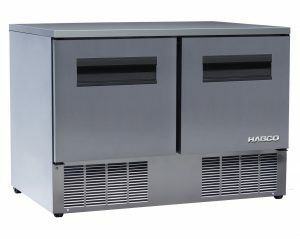 HABCO® offers a range of commercial undercounter freezer capacities to suit your restaurant’s storage needs, and all of our models are counter-height freezers for added convenience. Browse our models to find one that will match your space and budget.